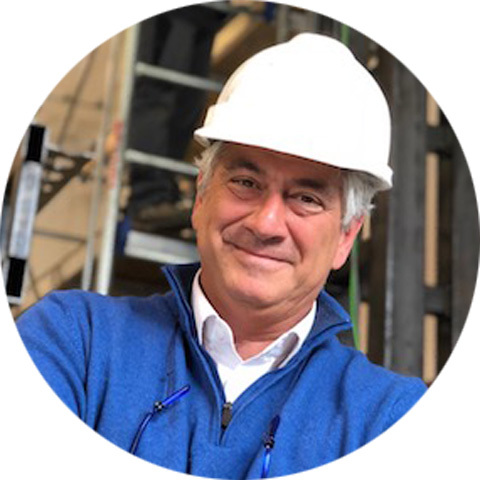 Antonio Manno was a mechanical engineer turned entrepreneur having set up one of the first Internet Service Provider in italy in the year 1994 after having spent the first part of his career as a manager of the FIAT Group. Antonio followed the boom and bust of the first internet era having created also the first auction online and group buying company in Europe in 1997 which met the fate of the first internet bubble in the end of the century. 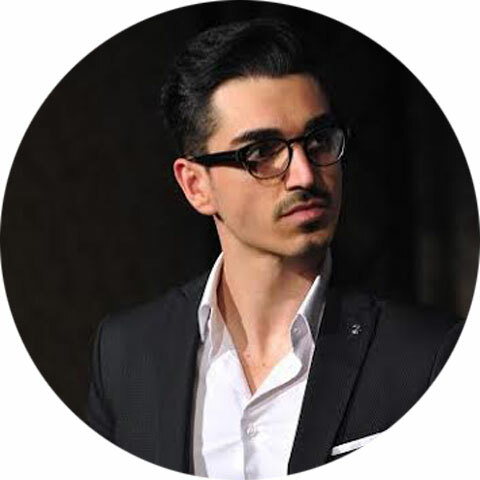 After the internet bust he left Italy for Estonia where he spent several years opening the baltic market for several italian SMEs, then in 2010 he moved to Chile where in 2012 he co-founded Exosphere, an innovative emerging and exponential Academy from which The Ark Lab project has followed. Antonio is a passionate scholar of the Austrian Economist Ludwig Von Mises and of the Indian philosopher Jidda Krishnamurti. He loves kitesurfing and practicing to live in the present. If the sound of the sea overpowers that of thoughts, you’re in the right place. 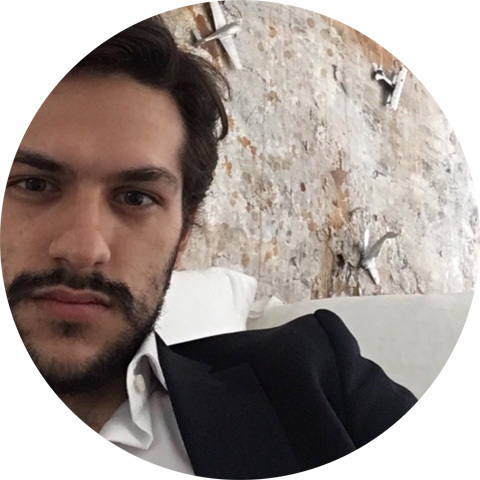 Born in Barletta, in the beautiful Apulia region, Giancarlo graduated in Architecture in Florence but already works immediately in the communication and marketing sector. 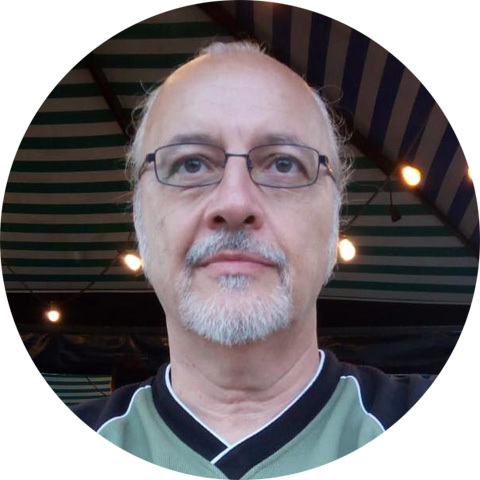 In 1994 he founded together with Antonio Manno the first service provider in the telephone district of his city, starting to study the HTML language for the creation of web content. During the years he specialized in web design and graphic design. 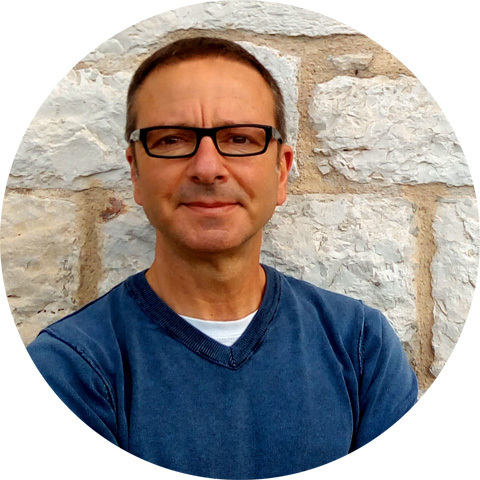 From 2003 to 2014 he teaches Marketing and Communication at a high school in Barletta. From 2015 he leaves school and returns to his passion for communication, starting to create interfaces for mobile applications. 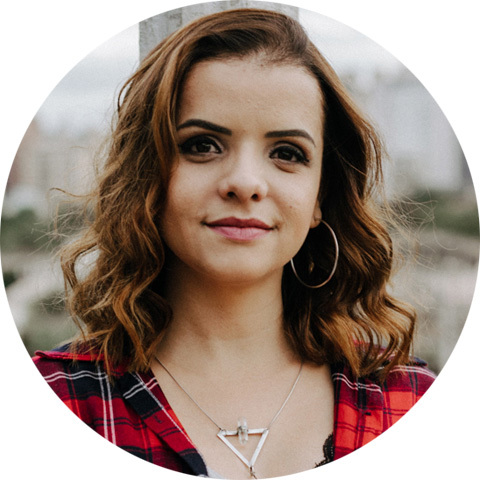 Isadora is a Brazilian entrepreneur who believes in change. 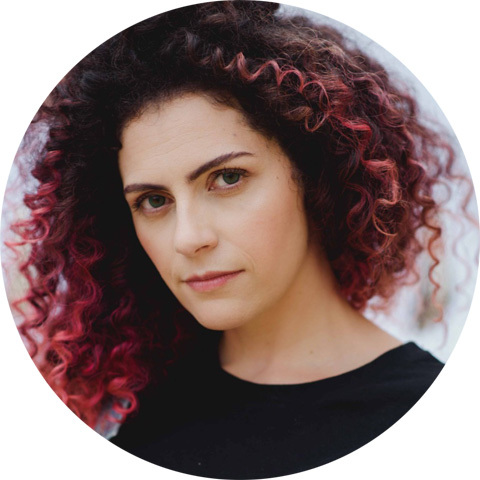 Graduated in International Relations, part of the core development of Rosemary Dream, an experiential holistic center, and creator of Ecoando, a social platform for sustainable community change, Isadora is constantly involved in creating practices for inner human connection and growth. Experiencing integral living, she combines the tools of the corporative and technological world with Yoga, Thetahealing and ancient teachings for the improvement and evolvement of mind, body, spirit, and adaptability. For her, the balance in between those elements, and asking the right questions, are key to expand honest inner power, and create real change. Isis Eich, futurist and an entrepreneur, has worked in the educational field, produced TV programs and been a citizen scientist for more than a decade in both the public and private sectors. She mentored the Biohacking stream of Exosphere Cohort X in July of 2017 and later became Exosphere’s Dean of Synthetic Biology. With her students, she developed technology to decompose poly-propylene plastic with bacterial enzymes. This technology later was refined into the biotech process to yield PEG and textile fibers from plastic, designed by Solar Punk labs; one of her biotech companies. 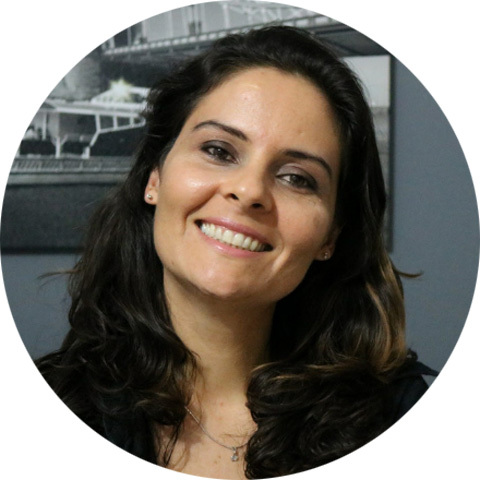 She is also co-founder of Portunus, another biotech company with an international team, based in the US, Brazil and soon in Colombia. Using her degree in International trade Isis has a talent for promoting products across borders and has been able to take the ideas she developed with her students and monetize them. Isis Eich has a strong interest in developing novel and beneficial biotechnologies and has demonstrated an ability to bring them to fruition through her business endeavours. 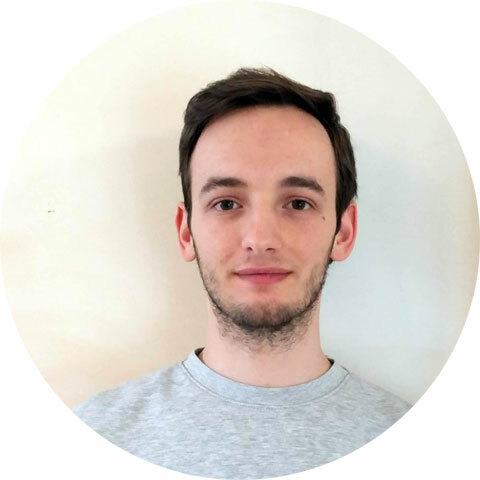 Giovanni was born near Brescia, in Italy, and is attending the top Italian engineering university, Politecnico di Milano, where he’s finishing his degree in Software Engineering. While spending over two years in the US and China during his academic career, he has developed an understanding of how learning is done across the world, and he’s now focused on continuing to deepen his self-taught Biology background. 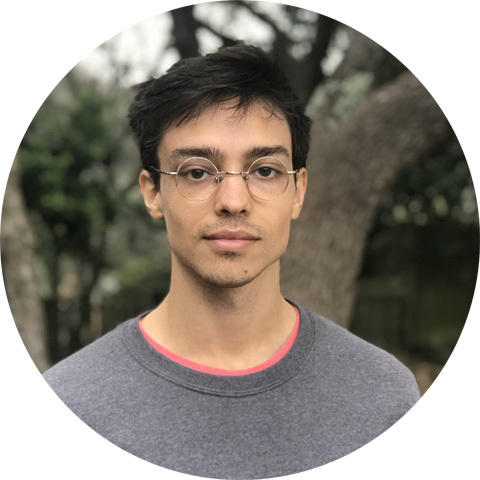 Uninterested in continuing to work in an academic lab Eduardo quit spending 20 hours a week on someone else’s research for free and set out to become an entrepreneur while still attending UT Austin for Biology. With a group of friends he built a lab at a local hackerspace out of which he conducted his initial research into chitosan and other biomaterials. To build his laboratory, Eduardo was part of the group that founded the non-profit Prophase Biostudios and negotiated the deal for the lab to stay rent free at the local hackerspace. The research conducted in this lab ended up being used to form the company Portunus in the months following Eduardo’s attendance to Exosphere’s 10th cohort. The company that he founded with two fellow Exopherians grew from an idea to a cash flow positive biomanufacturing company in the space of a year and a half. Portunus now provides chitosan to farmers in the USA while Eduardo continues research into bioceramics polymers. 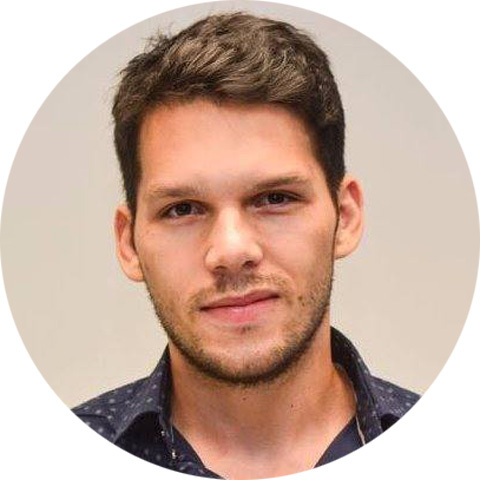 Now, as CEO of Portunus and technology writer for PiqD, Eduardo is intent on assisting in the design of a biohacking program for an independent educational institution. Srinivasa Raju Vuppalapati (Raju), is an enthusiastic educator with more than 18 years of experience in guiding and mentoring university undergrads of computer science in various subjects right from Data Structures to Artificial Intelligence. His passion towards educating and mentoring students drove him to academia. 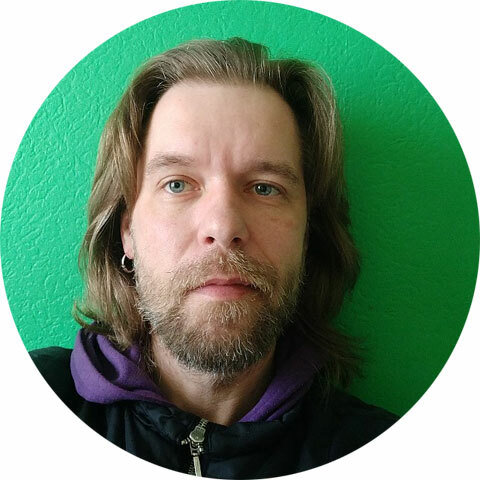 Being an educator with his practical approach towards technology, he started web development in the year 2000 and developed numerous websites and has a profound knowledge in linux administration and a certified ethical hacker from EC Council , U.S.A.
His quick learning abilities, passion towards learning new technologies and strong commitment drove him to shift the focus from web technologies to Artificial Intelligence and Blockchain which are the emerging areas in the information technology. His passion towards building teams, handling projects on the next gen technologies , inherent leadership capabilities and inquisitive mind set made him an entrepreneur by establishing his own blockchain startup in India. Has trained more than 700 undergrads and and various personnel from industries like L&T, ISRO, DRO, NSE, NPCI and TVS motors.in blockchain technologies. 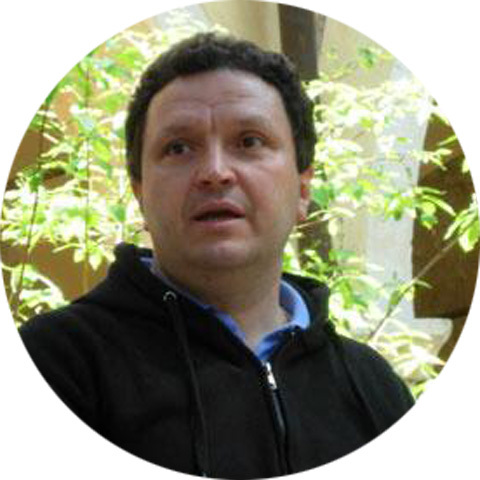 Felice Rocchitelli, praxelogist and entrepreneur, had been conducting in the last 6 years several works, studies and researches in different fields that range from statistics, economics and finance all the way to programming, cryptography, data structures, network protocols, OSS and DLTs. In June 2018 he has started – Oida Labs s.r.l. – an ICT consulting, R&D company with a focus on Distributed Ledger Technologies. Together with his company, he’s providing a range of services which help companies to upgrade their internal processes, to renovate the entire architecture of their information systems and to thrive in this new Technological Revolution. Alessio has always been curious to discover how objects are made and how they work. He began his career as a CAD designer, gaining experience as a designer in various sectors: from small mechanical parts to the design of entire golf courses. Over the years, it has moved from two-dimensional design to 3D modeling and it analyzes both mechanical paramentic modeling and organic modeling, focused on the creation of models for apps and videogames. Passionate and expert in IT, software and new technologies he had the opportunity to collaborate and develop projects that require smart thinking, creativity and problem solving. With the advent of the new industry he has had the opportunity to experiment and adapt new technologies such as 3D Printing, microcontrollers based on Arduino and everything that falls within the Maker and DIY universe to his work. You can’t always get what you want, but if you try sometimes, you get what you need. Interested in the origins of the self for a long time; the question drove him to explore consciousness, and eventually artificial intelligence at UT Dallas. Funny though, because the self can be found at the center of just about any field of research. As Jay slowly realized this fact, his own field of study expanded to include distributed systems and the finer points of mathematics. Today, Jay can be found contributing to open source code in the machine learning, blockchain and P2P sectors. His mission is to decentralize the web while simultaneously protecting the world from the technology that lurks its surface. And maybe learning something about himself along the way. 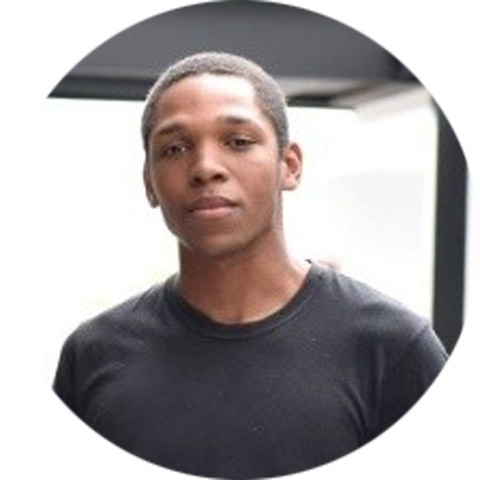 Roshawn Terrell is an aspiring AI Researcher, Information Theorist, and Cognitive scientist, who works to build bridges between distant fields of knowledge. He is mostly self-taught, having worked on multiple research projects, with published papers and lectures at Oxford, and elsewhere. He is presently engaged in applying his cognitive science theories towards developing more sophisticated artificial intelligence. Lais Menini is a brazilian journalist who dreams of being a writer. While it does not happen, she travels the world to hear new stories and help out in whatever way. Carol is a communicator, specialist in strategy and digital environments, Brazilian and stubborn. With degrees and experiences in areas such as webdesign, web development, online and offline marketing. Entrepreneur acting as a partner in a digital marketing agency, in the development of a relationship app, a membership portal with contents about women’s health, a personal blog and a project that is one of her major purposes, which is to work with and publish studies on the influence of marketing in promoting the development of a more sustainable fashion industry, in all aspects. She has scored several goals and also got many red cards, but values each game played with much love. She loves cats, Italian food, wine and believes, like Nietzsche, that without music, life would be a mistake. 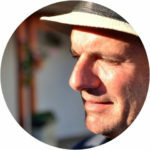 Mimmo is a gourmand entrepreneur who is dedicated in merging Puglia cuisine, culture and history. 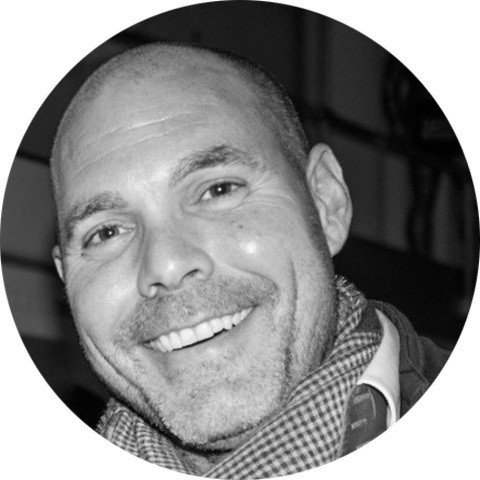 He is an experienced manager with a history of working in HoReCa, Food Service and Hospitality. His passion is to link the innovation of the Exponential Technologies with foods and arts, dedicated to capturing economic opportunities in the food value chain. He worked also in the educational field, internship programs and he mentored to improving young entrepreneurs. He developed a own prasseology method to use food as a business tool for build his large worldwide network and social-media. Is not graduated but have a huge “on the road” experience and his lucky to have a family involved in the food business from three generations. In 2004, Mona experienced transformation when a group of mostly strangers sat in a circle for two days and became a community. The personal and group changes afforded through the community building model created by M Scott Peck and the Foundation for Community Encouragement (FCE) were life changing. For Mona this meant becoming a facilitator, trainer, and continuing to participate in the community building process as opportunities allowed. Having facilitated in five countries and for both one-off weekends and entrepreneurial bootcamps (these were for Exosphere) her experience and skills have grown. She was further immersed in the community building culture by serving as an FCE Council member for eight years, which included 5 years as co-chair. Mona believes community and the authenticity needed to deepen it are often lost amidst the immediate gratification received from FaceBook likes and Twitter re-tweets. Community building offers an alternative and possibly transformation. Nell Watson FBCS, FIAP, FRSA, FLS, FRSS, CITP is an engineer, educator, and tech philosopher who grew up in Northern Ireland. Today, Nell educates others in how to implement such technologies, for example, by creating video coursebooks for O’Reilly. Technologist with multidisciplinary background who is passionate about technology. Have worked as researcher in security/cryptography both in industry and academia, with deep expertise in Blockchain and Cryptography. Currently focusing on Blockchain and Cryptoeconomics. 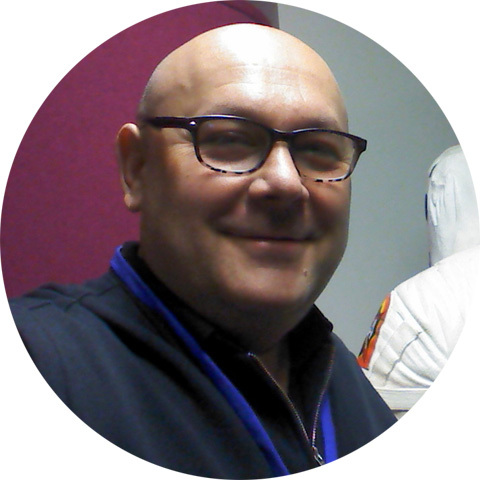 Enrico has spent his entire career in the sector of mechanics, automation and robotics, manufacturing automatic machines. 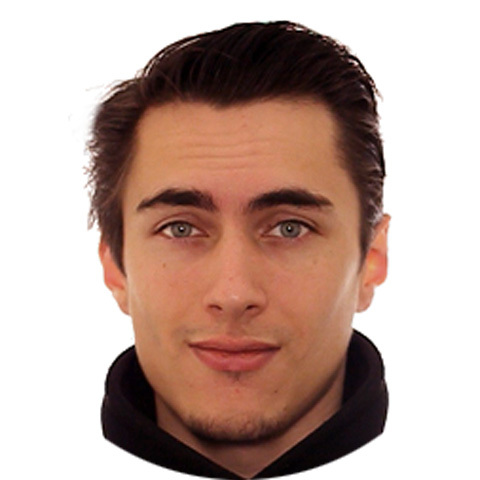 Enrico Dini works full time in developing the D-Shape 3D Printing Building technology. This technology will revolutionize the way architects design and construct buildings. Specialties: Automation, Robot Integrator, Manipulators, Conveyors, Prototype development.industry and academia, with deep expertise in Blockchain and Cryptography. Currently focusing on Blockchain and Cryptoeconomics. There are two important reasons why one must be literate in new technologies, the first is in order to make the best use of them, the other one is in order to understand if they are being used against you. 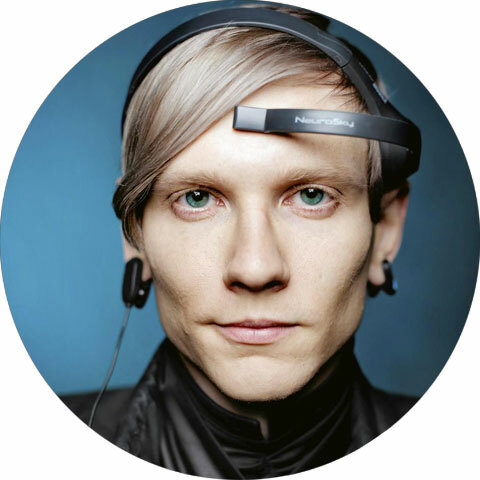 Hannes Sjoblad is an internationally recognised thought leader, speaker, media commentator, innovator, investor and professional advisor on biohacking, human augmentation and the impact of exponential technologies on the human condition. Earlier speaker engagements include Singularity Summit Global (San Francisco), TEDx (Berlin), IoT Asia (Singapore), FutureFest (London), Biohacker Summit (Stockholm), L’Échapée Volée (Paris), IFA Summit (Berlin), Futur-en-Seine (Paris), Wolves Summit (Warsaw), Pioneers (Vienna), SIME (Miami & Stockholm), Kaspersky Security Analyst Summit (Cancun) as well as Singularity Summits in Amsterdam, Copenhagen and Stockholm. Sarah Blossom Ware grew up in rural Arkansas with no running water and no electricity, and she now has a doctorate degree from Wageningen University in the Netherlands. 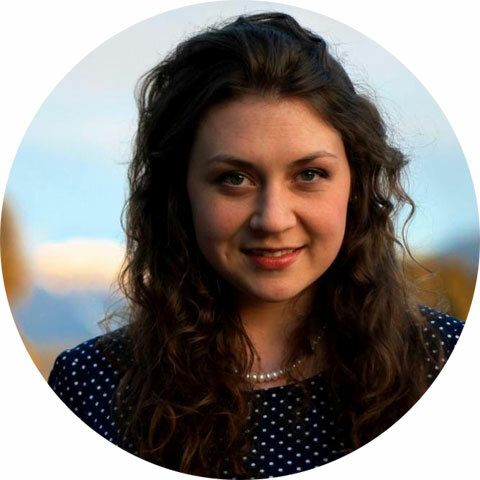 Stemming from her humble background, Sarah strongly advocates for open source sharing of scientific information and for the democratization of science. She is Founder of BioBlaze Community Bio Lab, the first biohacking space in Illiniois. BioBlaze is a fully functional lab with centrifuges, PCR machines, beakers and chemicals that members of the general public can use to perform original biological experiments. 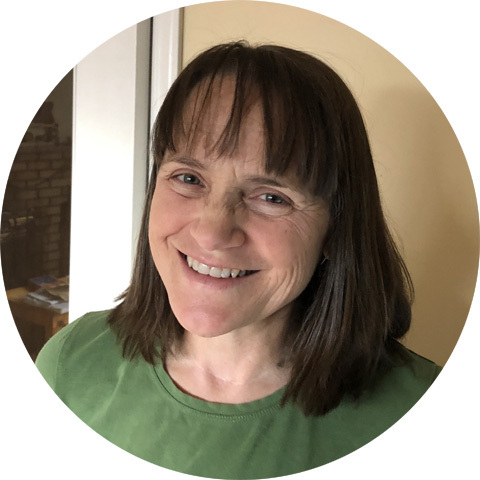 Sarah is also a biology professor at Benedictine University and College of DuPage in the Chicagoland area and is on the advisory board of Hub88, a new tech innovation hub in Naperville, IL. In Summer 2018 Sarah designed and taught a university class called Biohacking – only the second of its kind in the US. Sarah is often found in the community leading hands-on workshops at elementary schools, middle schools, high schools, after-school clubs, museums and maker faires. Sarah is excited to be a part of The Ark. 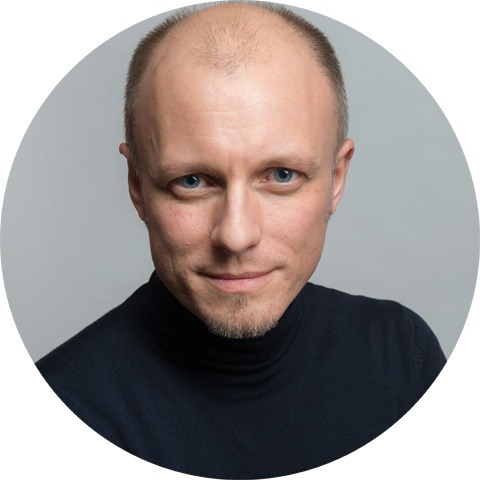 Teemu Arina has a professional career of two decades as a technology entrepreneur, author and professional speaker. Mr. Arina is one of the forefront thinkers on the digital transformation of learning, work, leadership, health and – eventually – the future of humanity. His work focuses on studying the intersection of man and the machine and ways to improve productivity, health and wellbeing with biological and technological tools. Mr. Arina is a popular keynote speaker who has presented in USA, UK, Japan, Russia, China, and Germany among others and was selected as the Speaker of the Year by Speakersforum in 2017. As a seasoned speaker, he gives around 100+ presentations per year. 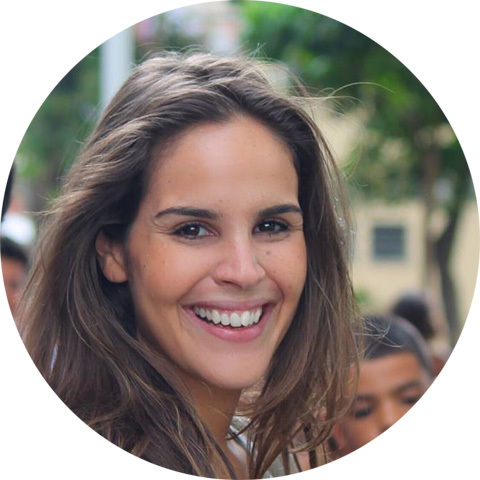 Mariana Serra, is the cofounder and VV’s (volunteervacations.com.br), creator, the first social agency from Brazi to manage volunteers around the world. She is a worldwide speaker participating in events as TEDx with a degree in International Relations from ESPM-RJ. In 2009, she published an article about the importance of education for Brazil’s development for ESPM’s Newspaper, was an assistant to Brazil’s former Minister of Foreign Affairs Luiz Felipe Lampreia and worked in the Institutional Relations sector at Andrade Gutierrez, a major Brazilian construction company. She is in love with travelling, having lived in New Zealand and Tahiti – where she began her involvement in humanitarian aid. 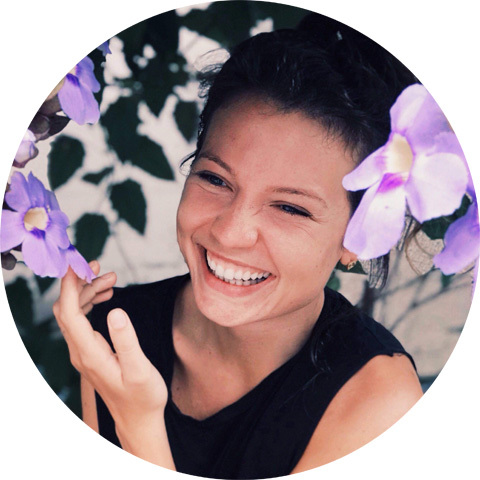 She has recently been a volunteer in projects in Haiti, India, Thailand, Costa Rica, Tanzania, Kenya, Jamaica, Indonesia, USA, Brazil, Gana, Ethiopia, Mozambique, Nicaragua and in Refugees Camp in Lebanon and Jordan. She is co-author of the book Jovens Empreendedores, líderes do Brasil que dá certo , published in Brazil, from the publishing company Leader. 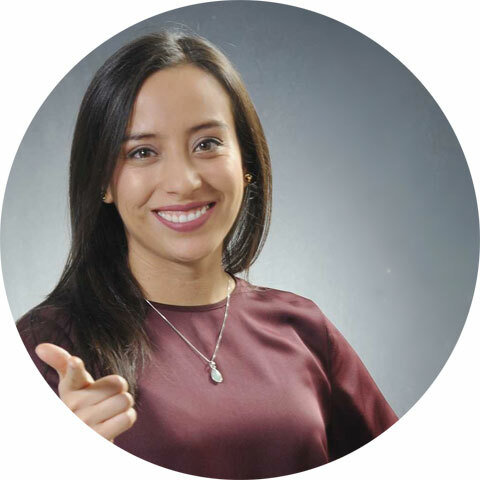 Mariana was featured in FORBES’ 30 UNDER 30 as one of the most promising entrepreneurs under 30 in 2016. Blockchain is the future that is bigger than all of us can ever imagine. Mrs. Alakanani Itireleng, also known as “BitcoinLady”, is one of Africa’s first pioneers in Bitcoin. Known throughout the continent and around the world, she has done possibly more to raise the awareness of cryptocurrency and blockchain technology since 2013 than any other female on the continent. “Ala” is the Founder and CEO of Satoshi Centre Pty Ltd. 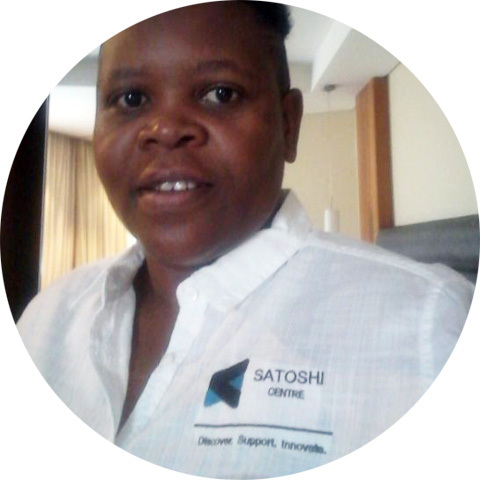 The SatoshiCentre was founded in 2014 as a platform that would create awareness in blockchain technology in Botswana and around Africa. The centre mainly concentrated on encouraging entrepreneurs to use blockchain technology to solve some of the main African problems. Since it was founded, The SatoshiCentre has successfully introduced blockchain technology to many entrepreneurs in the region, and it has created a community of Africans who are enthusiastic about blockchain technology. He started studying Law in Milan but his great desire for knowledge led him to choose to travel almost all over the world, especially in the Far East, where he discovered his strong interest in the disciplines, traditions and culture of those countries. 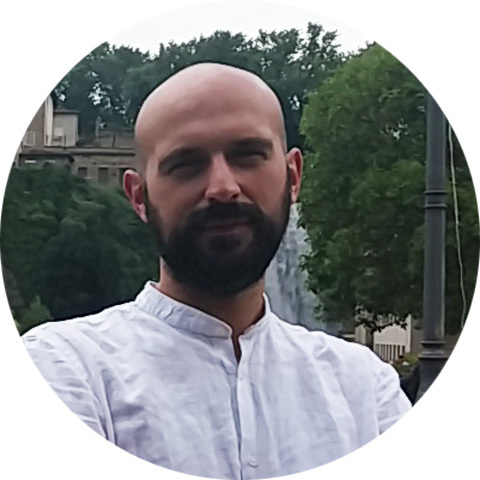 His skills range from Traditional Chinese Medicine to meditation, psychodynamics, reiki, shiatsu, Vietnamese analgesic techniques and family constellations. A recognized instructor of Tai Chi Chuan and Qi Gong for a long time, he was part of Itcca Italia where he achieved the qualification of teacher of Tai Chi Chuan Yang style with Master Chu King Hung. Creator of individual wellness treatments, since 2015 he has created the wellbeingatwork program (www.wellbeingatwork.it) that deals with educational wellness in companies. 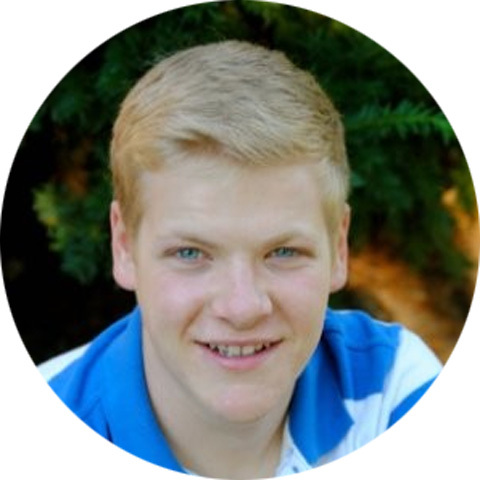 Luke started his professional career in 2007 as a derivatives trader of S&P futures. 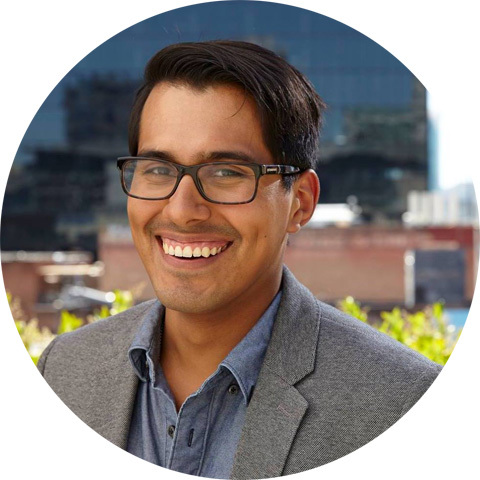 He was a FINRA-licensed broker for 3 years and in 2013, he left the financial industry and moved to Chile to become an entrepreneur. During his four years in Latin America, Luke was building startups and entrepreneurial ecosystems in Chile and Brazil. A majority of his time was spent building Exosphere, a learning and problem-solving community, and Exosphere Academy, which conducts trans-disciplinary educational courses in science, emerging technology, and entrepreneurship (alumni network from 50+ countries). Exosphere Academy is known for hosting the world’s first immersive smart contract/blockchain programming bootcamp. Another project that garnered a lot of attention was Crucero Celeste y Blanca. Luke and a group of Argentinian entrepreneurs rented a 2,500-person cruise ship and docked it in Rio de Janeiro to serve as a mobile hotel for soccer fans during World Cup 2014. 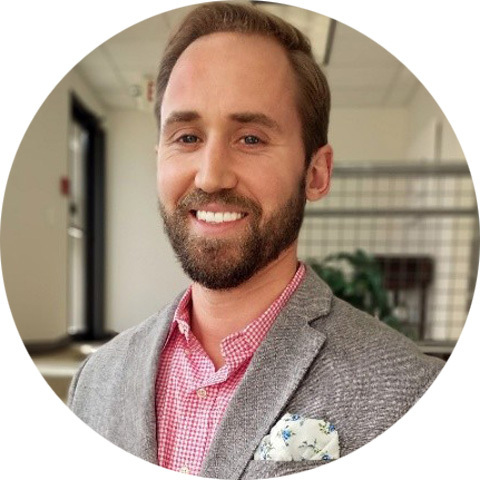 In April 2017, Luke returned to the US seeking to use his abilities and knowledge to transform the economy of his home region of St. Louis, on a foundation of innovation and global connectedness. Luke is a long-term optimist. He enjoys learning, talking, and writing about psychology, emerging technologies, and history. The Octave, a multidimensional heart of the initiatic, spiritual world and of the becoming of the soul. 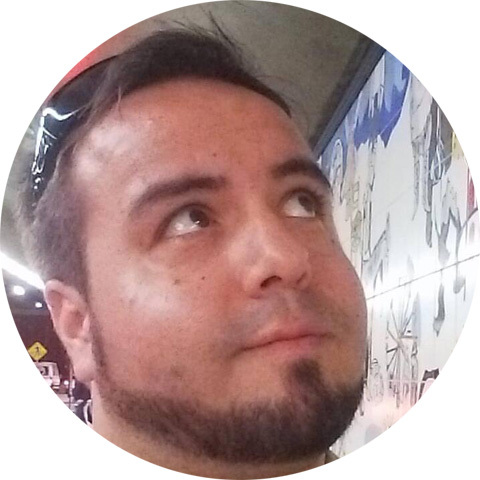 Audiovisual producer since 2009, started making interactive videos for web advertising campaigns, experimenting with new media and new languages, transmedia projects for pay TV channels in Latin America, this leads him to start an immersive live experiences company in 2014. He did live cinema experiences for a book publisher with the film Fight Club, the official 30th Back to the Future anniversary event for to biggest English school in Brazil in 2015, with 6 hours of a scripted event, dozens of actors, for 500+ die-hard fans. At that time, he realized that VR was coming back with a greater basis to sustain as an industry, and since the immersive live-action experiences language and VR has similarities, he decided to learn more about it. 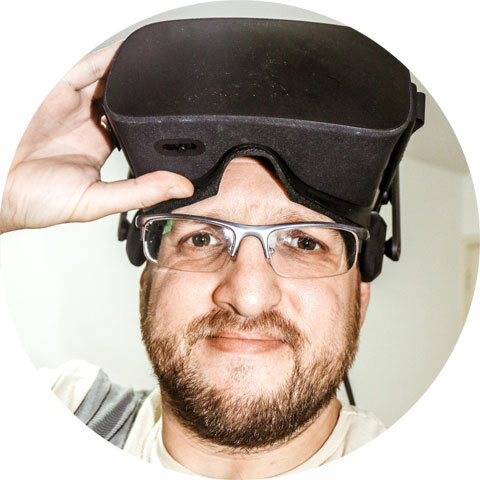 In 2016 he developed projects for brands using VR, such as a documentary for the biggest news network in Latin America, and web documentaries for international news channels. Then, he launched Hyper Festival Brazil, that is still today, after 3 years, the only place where companies, university people, and enthusiasts can gather, to learn attending panels, keynotes (last year Facebook Brazil was the main sponsor and Keynote speaker), workshops (Facebook and Adobe), dozens of Latin America VR premieres and visit 20+ companies exhibiting their work. There were 900+ attendees last year at Hyper Festival Brazil. In 2018, Fabio attended Laval Virtual and NewImages Festival in France and F8 and Oculus Connect in the US to research more about the industry, trends, opportunities. 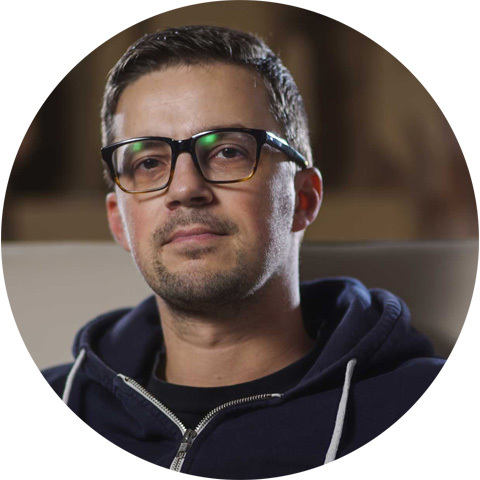 Now, in 2019, Fabio Hofnik is still in charge of immersive content production for brands, the Hyper Festival and launching soon the only online database for immersive experiences, TheXRDb.com, after understanding a lack of content on the web regarding cast, crew, companies, etc. TheXRDb.com also host a blog with interviews, coverage of events, reviews and more. My achievements – age 5 – Space Invaders 9,990 high score. Time series analysis for EEG [for ASD/ADHD]. Lead in interdisciplinary team. Anomaly detection (HTM). Time series analysis for binary trading [algorithmic trading]. GAN/CNN/LSTM Economic lead at Aerospace Science Lab [http://copernicus.exosphe.re/copernicus-i/] Knowledge mining ESA/NASA/JPL Oracle Advanced Analytics implementation for the phytosanitary provisions and systems of the European Union (EU) Cross Border Cooperation Programme Engineering experience in ecologic project www.lucidproject.com with BCI AR/VR underwater photography and virtual reality. Nicola Marino is a 26-year-old Doctor in Orthopedic Techniques at the Università Cattolica del Sacro Cuore and next Doctor in Medicine and Surgery with research experience at the Harvard Medical School. He deals about new technologies and their role into medical field. Democratizing treatments, facilitating access and making clinical reasoning processes more efficient are missions. Among the latest awards, he won the international call for the best research projects “Research Competition” promoted by Heroes. Speaker and writer of articles on national newspapers to describe his commitment in startups and share informations about cutting-edge in medicine. Doctor Marino is also the youngest member of the prestigious Scientific Committee of the Health System Forum of Florence. 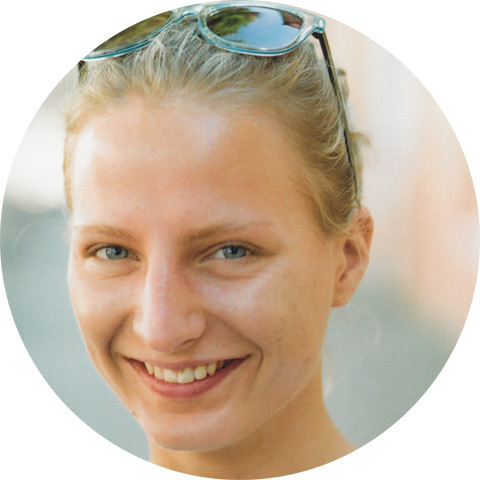 Nikita Merge is a freelancing designer of brand, graphic, and user experience Design. As the creative director, he leads the design of communication, interaction, concept and vision, unifies and guides the team performance and production, and implements the overall visual appearance of personal or professional brand. Merge was involved into the Flow Genome Project as the Graphical Designer and served as the Art Director at Exosphere Academy of Science and the Arts. 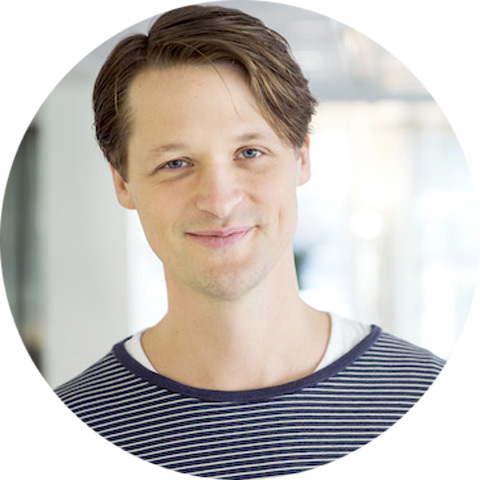 Before completely shifting to the Virtual Design field, he has received his Bachelor of Architecture from the VIA University of Denmark together with Advanced Diploma of Sustainable Building Design from the Sydney Institute. After studying and working in Industrial Design field as an Architect he shifted towards self-teaching and working in a field of Virtual Design while also being a global traveler. Such a complement of fields influenced and balanced his approach towards the Design. 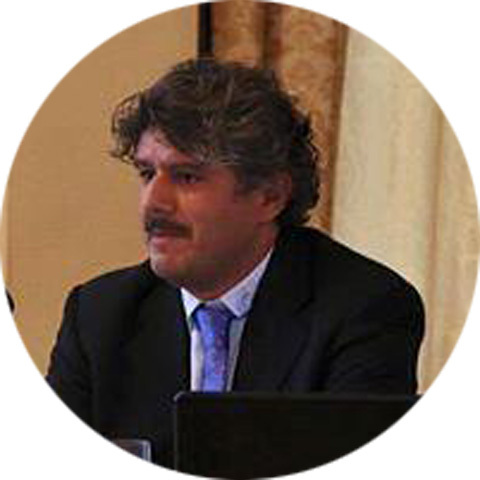 Roberto Manno founded WebLegal, a South Italian based IP lawfirm boutique, on 2006, after an international training and working experience, in particular as in-house lawyer at Bid.it! SpA during years 2000-2001, where he achieved a consistent experience on the most important legal issues relating information and communication technology law. Roberto provides an extremely wide range of advanced legal services in the area of Intellectual Property, including Domain Names, Trademarks, Copyright, Plant Variety Rights and EU Customs Anticounterfeiting actions, assisting international clients in administrative and judicial proceedings either domestically or internationally before foreign jurisdictions or the European Union Court of Justice. 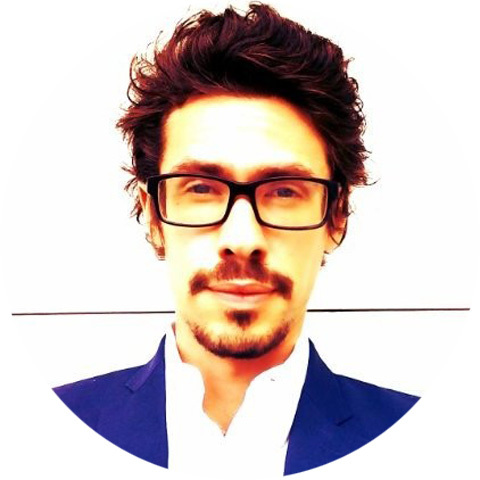 Roberto, who’s also managing a network of International IP lawyers in the EU, is a truly passionate Intellectual Property & Information Communication Technology passionate, and is always attracted by possible application of IT in the IP world, as BlockChain and Anticounterfeiting services or smart IP licenses. 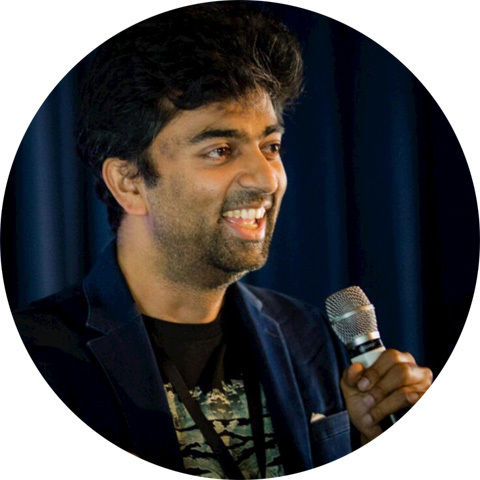 Sagar is a product leader with 5 years of experience building both B2B and B2C digital products. 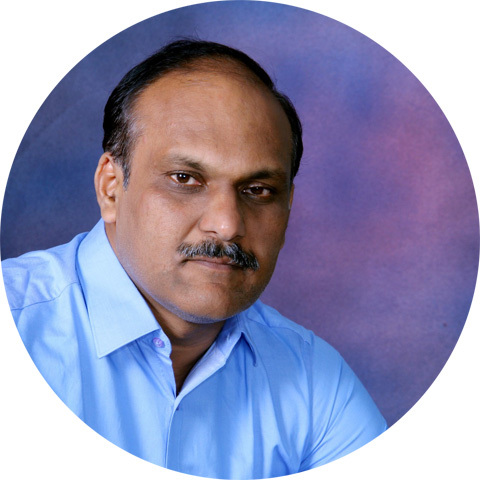 He has an extensive background in manufacturing and supply chain management. 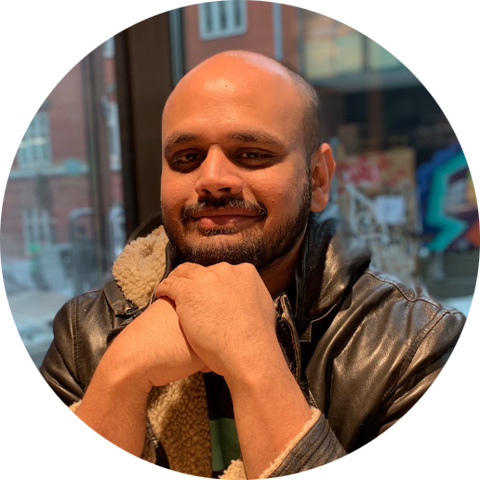 Sagar has managed product development in the retail, adtech, and music sectors -focusing on delivering user-centric products with built-in data privacy. 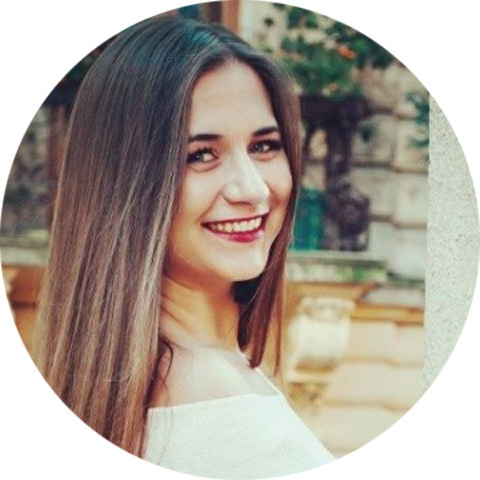 Iryna is a Product Management Associate at Leverpoint Advisory and a founder of D-Tech Space, a conference on decentralization and digital disruption which was listed amongst top 10 tech conferences in Ukraine. 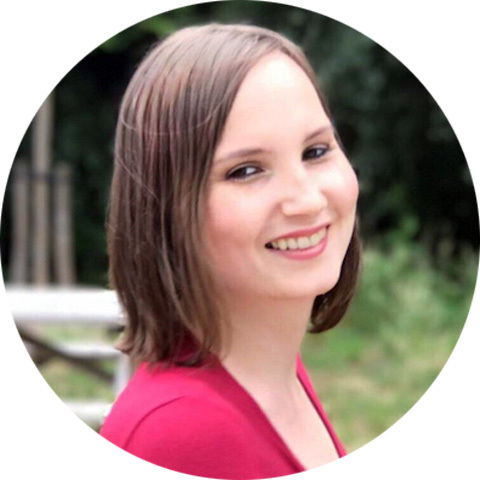 Iryna has over 4+ years of experience in project management, business development and public relations. 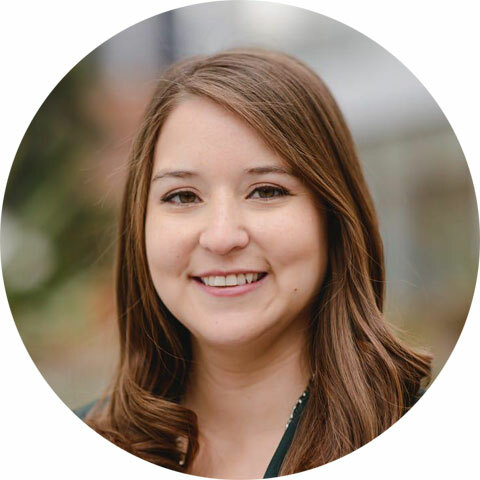 With a solid background in web development and marketing, she’s been working with both small startups and large companies to achieve a common goal: increase in revenue, sales, and brand awareness as well as building up internal operations. 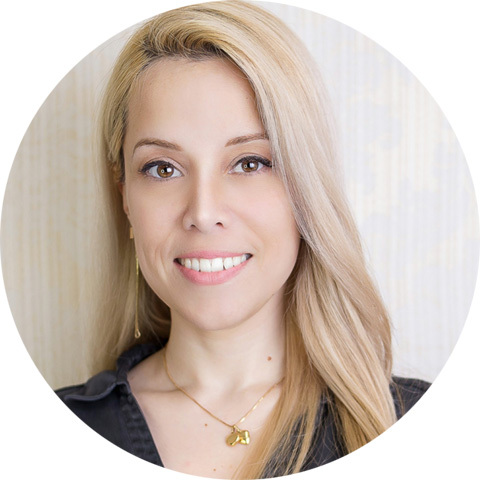 Iryna is also an enthusiast in emerging technologies, mainly blockchain and artificial intelligence, and has been active in the industry for more than 2 years. Founder and Director of Sustainability at Fundacion Siembre un Arbol. with more than 10 years of extensive experience in implementing projects in industrial symbiosis and green business. 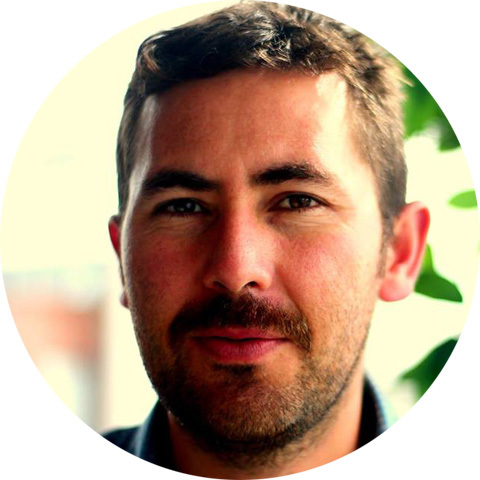 Director of the program Think – Feed y Evolve (Member of the board of the earth market, farmer and biohacker). I met Exosphere members during Copernicus Space Camp in wonderful Hungarian Castle near Budapest. It was a great experience to meet new people from different countries of the world with different cultures and skills. We worked together on our own project connected with space elevator ideas. Every day there were interested lectures on actual space exploration topics with PhD, engineers, enthusiasts from International Space University, Hungarian rovers team, Lift Port organization. In the morning, under huge tree on the grass we listened to philosophical stories – it was very nice, since I haven’t done it from my childhood. I remember time spent at Exosphere camp with a deep warmth in my heart. I enjoyed to be there. Antonio has been our mentor during meetings and he is the most positive and open minded man I have ever met. Márcio graduated with a bachelor’s degree in Computer Science from the Federal University of Maranhão in Brazil. 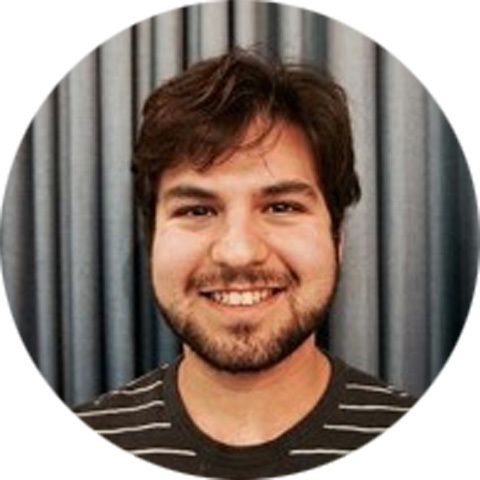 He did research on Web Services and Digital TV at the Laboratory of Advanced Web Systems – LAWS and led a team twice to the Brazilian finals on the ACM International Collegiate Programming Contest. An entrepreneur since he was 18, he has worked on several personal projects, with special highlight to the startup Wanna Migrate, with +15k users and two interviews at YCombinator in San Francisco, one of those during his time at Exosphere Hydra II Bootcamp. 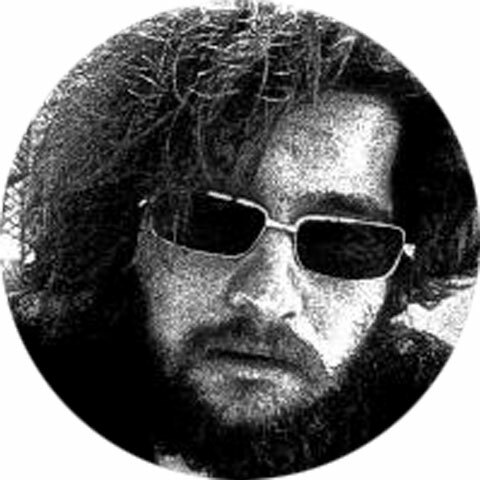 Márcio currently works for the 5st most accessed web portal in Brazil and make games as a hobby at trapcat.com. Exosphere was a life changing experience for me. I learned more about myself than ever before due to the power of a brilliant community and fantastic mentors. We were learning and working with cutting edge programs to solve the biggest problems globally. It was amazing to find so many like minded people with whom I still have a meaningful connection while some of us kept working together. As an engineer in mechanical and biomedical engineering, Rolf is used to working structured and planning ahead. To look into processes, find out how they work and then improve them is his past-time. After visiting Exosphere he learned to look into himself which helped him find out about his visions, strengths and weaknesses. With this knowledge he now uses his strengths to make work for businesses easier and help them to be more efficient: do the work that has the most impact for their customers and cut down on unnecessary tasks, resulting in happier customers and higher profits. He is otherwise interested in being uncomfortable, lifting weights, eating steaks and posting memes. If you can’t therefore you must. Antoine Tournissoux is an entrepreneur and partner in a financial optimisation company devoted to help expats in the EU and around the world to better invest their savings and acquire wealth through investment products and counsel. Back in 2013 right after finishing High School, Antoine left for Chile at age 19 with only basic understandings of the Spanish language and without knowing anybody in this country. He began working at a large brewing company to learn Spanish and local habits and quit a year later to build a wine & Champagne importing and exporting company. Fast forward to 2015, Antoine met Luke Blackburn in Santiago de Chile and joined the Hydra 3 Exosphere program, a huge stepping stone for him as he met Antonio Manno which would eventually become his advisor in his new venture. Learning about new technologies and always pushed to do more, Antoine saw a market gap to create a discount deal webshop but failed launching 6 months in due to poor delivery infrastructure at that time in the country. 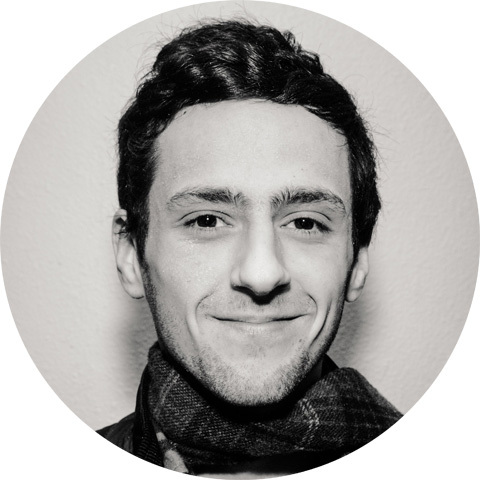 After three years in Chile and missing his friends and his homeland, Antoine decided to move back to France in 2016 and settled in Paris where he is now working in finance and developing various side projects in the foodtech industry. Gabriel Scheare, co-founder of Fort Galt, attended one of Exosphere’s entrepreneurship bootcamps in Chile back in 2014. The program did a great job of attracting creative and ambitious young minds together to a single place where they could collaborate on various projects together without distractions or discouragement. I came away from it feeling that a few key components were missing, such as a permanent venue and a residence, which is partially what led my business partners and I to develop the project we have under construction now. I think The Ark has a golden opportunity to take an already great model and perfect it. Exosphere, in a significant manner, enabled me to critically assess my life and better understand my core values so that I am able to live and work more harmoniously with other people, the natural world, and our contemporary society. I currently work as a research and writing assistant to a sculptor, with a focus on integrating the lessons from classical literature and philosophy into modern art education and creation. I have a continued interest in understanding the social implications of emerging technologies, and hope to create meaningful spaces that, like Exosphere, allow myself and others to continue to learn and grow in accordance with our deepest values. Traditional education is failing students, teachers, and society-at-large. Rather than complaining about it and doing nothing — like a dime-a-dozen armchair crusader — The Ark is doing something about it. Having gone through the same model in 2017, with many of the same people, I can tell you this: They are on the bleeding edge of technology and education. They attract some of the most brilliant minds in the world. I guarantee you won’t be the smartest person in the room. (And that’s a good thing. Embrace it.) If you’re feeling the “Call to Adventure”… go. And don’t look back. 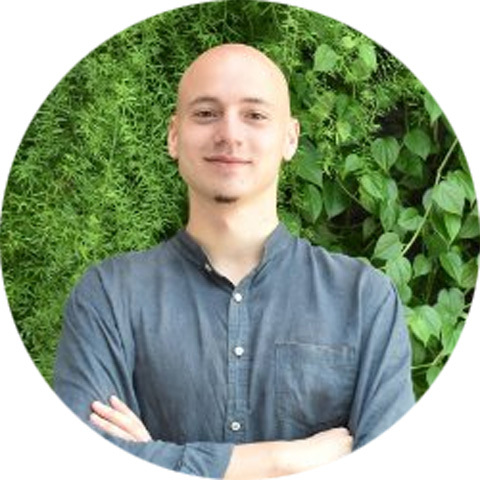 Yaroslav is a seasoned marketing and product development professional with international experience, strategic approach and urge for innovations. He loves technology, sees the big picture, thinks global and starts with Why. Yaroslav has 18+ years of experience. He developed and implemented more than 200 large-scale marketing programs. Pioneered transmedia storytelling, branded social gaming and second screen experience in Russia and CIS countries. Worked with American Express, Microsoft, Red Bull, Rusal (Russian Aluminium), Xerox, Nokia, British Airways, MTS (Mobile TeleSystems), Coca-Cola, Paramount Pictures, and others. Yaroslav gained diverse international and cultural experience. He lived in the USA. Worked in Guinea (Africa). Managed a brand launch in India. Supported and mentored startups in Spain, UK and Russia. Spoke at conferences in Russia, Ukraine, Turkey. He is in love with travelling and has been to more than 60 countries. 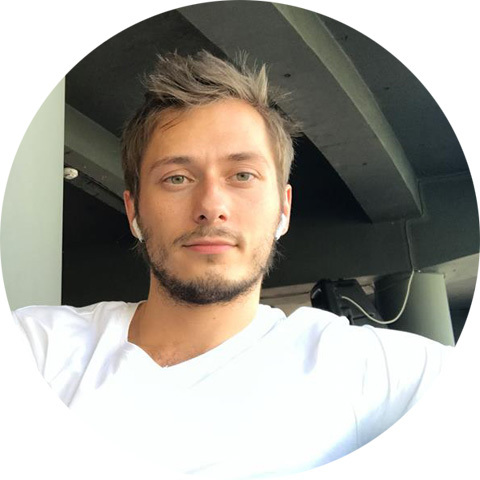 During the past two years Yaroslav has been focusing on building a personalized online education platform as the product owner and the head of a new business stream for one of the largest telecom and IT companies. 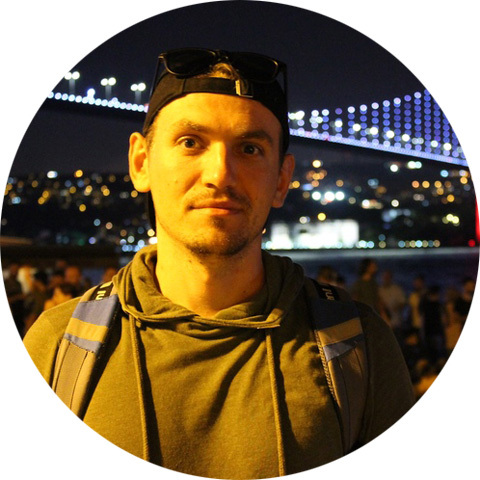 Yaroslav has a live interest in machine learning and artificial intelligence and is a strong believer in virtual and augmented reality (VR/AR). I have always been curious to convey how space development have many attractive opportunities to young people and children. I began my career in space education, gaining experience as a exhibition planner in various science museum. As the same time, I worked for Japan space elevator association as a co-founder. My experience in exosphere was a very valuable opportunity that different background people from all around the world discuss one theme with leading expert of the theme. An experience in the Ark will be not just get some knowledge, but meet the expert and people who have same interest, and make you clear what you need for your goal. Nerd, entrepreneur, startups enthusiast, dog fan, volunteer, pop culture consumer. I always liked to experiment, from running a small walking newsstand in my school and neighborhood when I was just a kid to volunteering as part of the Boy Scouts in my teenage years, I never stopped participating in different activities to learn more about people and their behavior. In the last few years I spent some time in Chile and Spain, and when returned to Brazil I wanted to help people develop their business and understand how they could be part of the new creative economy. Now, while acting as a consultant in projects for different kinds of companies across the globe, I’m a community leader in São Paulo’s startup ecosystem and I work with people, startups and companies impacting the society through entrepreneurship. 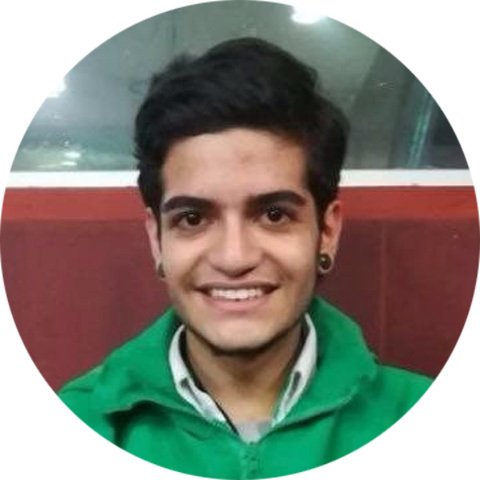 The Hydra program at Exosphere was the turning point that inspired me: it gave me new knowledge, developed skills I underused, put me in contact with interesting people and made me able to fulfill my objectives. As The Ark Lab is heavily inspired by Exosphere programs, I’m sure it’ll not only evolve it but also grow to develop its own identity while maintaining the same educational spirit. Aiste Noreikaite has a background as a piano player and a sound designer. As her major project at the university in London she has created what she calls ‘The Experience Helmet’ that turns brainwave signals into sounds and allows users to ‘listen to themselves’ in real time (https://www.vice.com/en_us/article/nz4eez/this-eeg-helmet-makes-music-from-brainwaves). Trying to turn her idea into a successful start-up – that’s what brought her to the Exosphere in the first place. Being in Brazil Aiste realized that running a business is not something that she wanted and instead she chose the Blockchain stream mainly because of the tutor Shlomi Zeltsinger who was really good at what he does. With no usual coding experience in 2 months she managed to create a fully functional website that signs smart contracts. Exosphere not only gave her the skills that she wanted it also created a huge circle for networking with people from all over the world. The most impactful were actually the philosophy sessions run by Skinner Layne that guided her in the journey of self-discovery. After the program Aiste has been active in the performance art. She hacks the sensors that capture signals coming out of the human body and uses them to create a sonic output in her performances in various places in Europe. Aiste believes in creating new expressions through innovations in music and other disciplines while constantly searching for identity. For the past decade I have been dedicated to understanding the challenges and opportunities for human cultural systems to achieve a high degree of sustainability. Along the way I have achieved two bachelors degrees in both liberal arts and science, and worked as a technician, consultant and operations specialist for the military and several nonprofits as well as startups ranging from science-entertainment and education to block chain, biotechnology, body hacking and space enterprise. I am primarily a theorist in the study of complexity and emergent phenomenon applied to socio-ecological systems. I seek to integrate my understanding of yoga and Taoist philosophy to the intentional emergence of socio-ecological systems in confinement. It is my greatest aspiration to enable the liberation of human culture and its sustaining ecology from its planetary confines onto an interstellar trajectory. I first met Antonio when I joined exosphere for its analogue astronautics stream in Pedra Branca, Brazil. 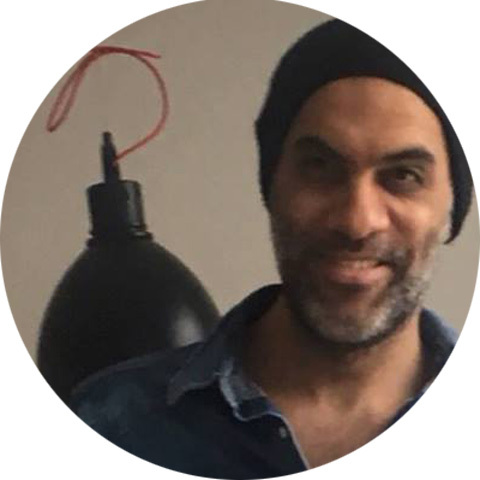 During my time at exosphere Antonio demonstrated an unmistakable enthusiasm and passion for the success of his colleagues and those involved in the program. His depth of life experience and willingness to share it makes him a quality adviser and genuinely fun and interesting person to work with. I’m sure that any time spent at the Ark lab will be well worth it for anyone willing to throw themselves wholeheartedly into the moment. Federico Gutiérrez Correa is an aspiring biomedical engineer, with several interests between science and art, who is developing free source tech while working as a teacher of science and robotics, he is interested in participating in disruptive projects related to technological development and/or social appropriation of knowledge. Basically an enthusiast of life and everything that promotes it. Chandler is currently in college studying Philosophy, Computer Science and Biochemistry. 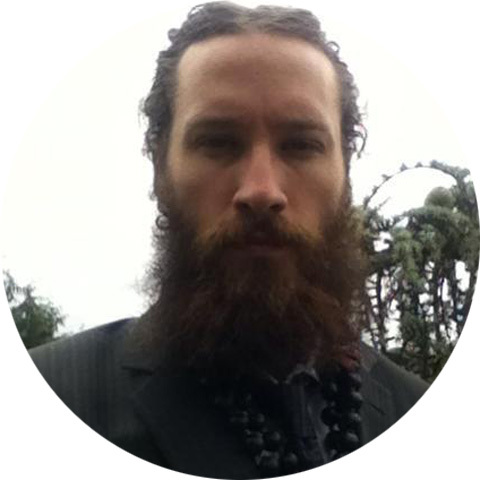 This summer he will be journeying to Rishikesh, India to study for becoming a 200-hr certified Vinyasa Yoga Teacher. He has served as an Advising Assistant in local wellness-based start-ups, and has published writing in the Neo-Politico Student Journal. He hopes to bridge the Post-Modern and the Eastern Self. Underneath the rigidity of scientific rationality is an unstable (albeit ordered) natural progression. His passion is to investigate what exists between the silences in words. That is the biggest truth of which no words can be spoken, as the eternal tao cannot be contained by words alone. Entrepreneur; mentor in strategies for foreign language learning. 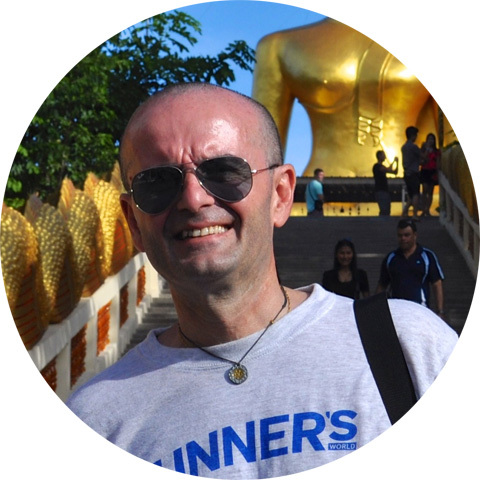 Has experience with Research and Development in the academic and industrial sectors; as a course designer, brings science, self-improvement and language learning together. Speaks Portuguese, English and German; learning Spanish, French and Italian. Attending Exosphere was an amazing multidisciplinary and multicultural experience I have had. Also, an excellent opportunity to meet a lot of brilliant minds from many different places, I am sure The ArkLab will be even better. Sergio is a Mechatronic Engineer from Peru. Passionate about space, he has worked in projects related to Mars exploration. In 2015, he served as Crew Engineer in a Mars mission simulation in the desert of Utah, USA. He is a former participant of the program Hydra II led by Exosphere in 2016. There, he learned various technological and entrepreneurial skills. 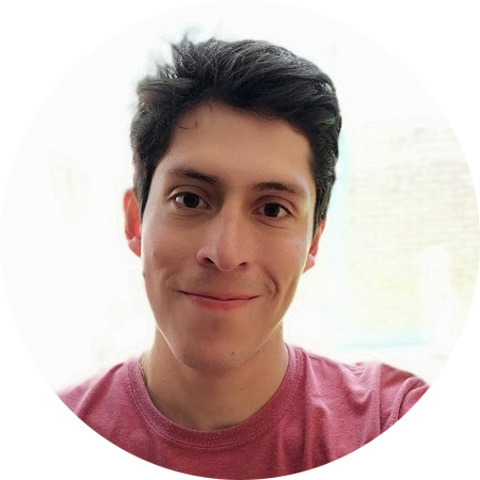 As he states: “I think Exosphere helped me to realize that there are other ways to follow, but most important, Antonio and the team helped me to choose the best one according to my technological, social and cultural characteristics. Everybody should live this kind of experience”. Mike fell in love with applied & computational mathematics a while back. He loves how it converts complex problems into beautifully simply results. After his educational experience as a mathematician at Duke University for undergrad and the University of Oxford for grad school, he left further studies in his academic discipline to take the road not taken. After grad school, he left England to join a learning problem-solving community in Chile called Exosphere Academy, which focused on entrepreneurship and technology development. During his time there, he became captivated by the fusion of technology, math, and statistics to solve seemingly challenging computational problems and was inspired to become a Data Scientist / Machine Learning Engineer in Silicon Valley. Mike now obsesses over machine learning, statistics, messy data, and all things Python. 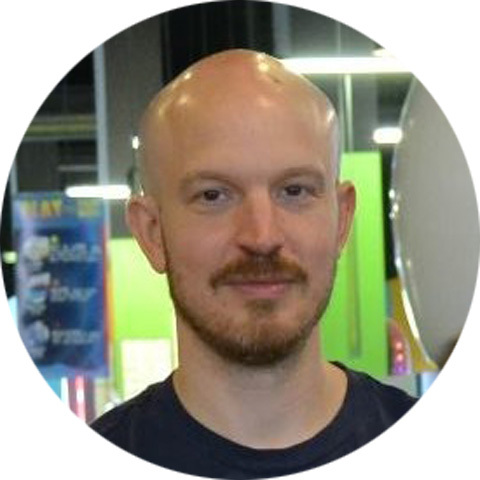 He is currently a core member of the Data Science at a payment processing FinTech company called WePay where he builds robust machine learning systems for fraud detection. He hopes this opportunity will help him further hone his craft and that he’ll have the courage one day to become a founder of a technology company of his own that will add value to society. Mike is a self-learner who’s intellectual curiosity fuels an insatiable love for learning new things. He is a big believer in the open, frank critique of ideas and believes the best way to grow an idea is to attack it. 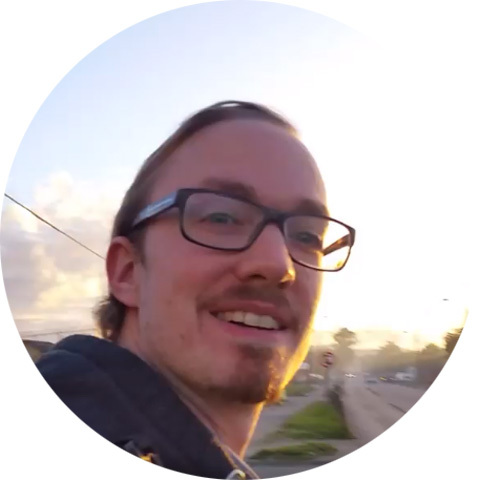 I attended Exosphere while I was on a journey of self discovery, right before I let go of my last traditional ‘job’ and started freelancing as a full stack web developer. And I can say that for the right person in the right situation, it is a useful experience. There is something refreshing and exhilarating about living with others who are all trying to become better people. I would think of the program as an introspective vacation with a focus on meaning and motivation. The networking aspect of an event like this is probably the most valuable takeaway, and may be worth the price of admission on its own. Mandy is a fourth-generation homesteader from rural Alaska. She attended the University of Alaska and earned a BA in Social Science. During that time, she conducted research in China on the experience of minority cultures under Communist regime as well as research in Alaska on the environmental rights of Alaska Natives. 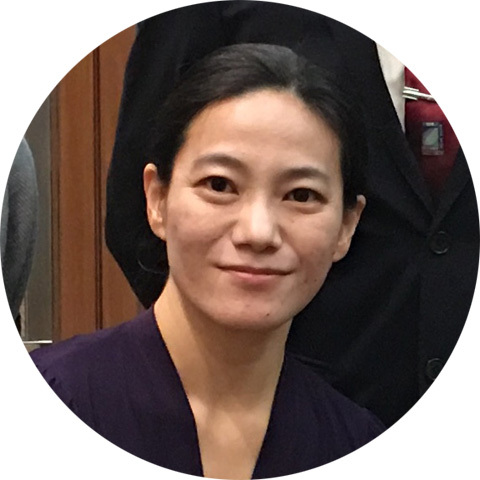 After working, travelling, and studying independently abroad for four years (which included a very important experience with Exosphere), she returned to school to obtain her Master of Science degree in Sociology. Her purpose in studying at the graduate level was to be able to conduct her own social research in a scientific environment. Her thesis is centered around religiously affiliated women who study Science, Technology, Engineering, and Math (STEM). During this time, she also evaluated research grants for several universities, as well as the National Science Foundation and NASA. Her next move is to obtain her PhD in Social Policy; her interests lie in human rights, socialization, social movements and deviation, and natural resource allocation. Romina is a biotechnologist from Chile. Passionate about synthetic biology and about encouraging women in science and entrepreneurship. Participant of Exosphere Hydra 3, a program that taught her different methodologies to create a startup. She was the only female participant at the program and this experience helped her to create a project based on STEM toys for girls, to try and close the gender gap in STEM industries. With this project in 2017, she was chosen as 1 of 100 young leaders of tomorrow in biotechnology by Global Biotech Revolution. She also volunteers for different organizations such as Girls in Tech, Inspiring Girls and Allbiotech. She also writes blogs for an online scientific Chilean magazine. At some point in my adult life I was facing the empty schedule, and it’s become like a long lost dream come true. That was more than five years ago, I was PAing some Wall Street Bigwig, the PIIGS were raging wild, I was handling portfolios and blogging the market, wearing fine suits and dating expensive women. In my farewell letter I quoted Pink Floyd and Supertramp and even denied my final paycheck of some low five figured cash number. Brought up the subject of BTC in May of 2o11 when it was too nerdy to be taken seriously. Went on to knock home a giant PokerStars jackpot, paid for an album production in GDR retro rock, gathered friends, set up founding papers, stacked em well, and, again, backed out after a short while to see my fortunes fade, leaving me stranded on a nice pile of debt and nothing but this ever-growing beard. The only way for me to even hit ExoSphere in early 2o16 was the totally uninteded awardation of the Hustle Scholarship. Back there and then I simply preferred to buy weed over ETH with my scratched-together funds (thanks, Dad ;)). Not much change to the present day. I stick around my stretched out patchwork relatives and siblings (again, thanks, Dad), refuse to get a job, refuse to speculate and gamble (! ), refuse to collect welfare, guys, I’ve even been resisting taking showers and making plans. For years. So, yes, guess I figured it would be smart enough to simply turn into a real world movie character. If you manage to find me at gab.ai/dumbledore I’ll tell you a secret. The inner desert I was carrying with me in my highly praised (thanks, Mom) Bud Fox years turned into some juicy, grassy, flowering hillside similar to the one I live in now in the Franconian Springtime. I hereby invite you to Puglia later this year to simply lean back, relax, listen and be amazed and inspired. I’m one seasoned tutor to the young at Mensa, Bucky Fuller tradition. And I sing you ballads. I started my first company at the age of 20 and has continued to be actively involved in the startup and entrepreneurial scene. During 2014, I participated at Exosphere Bootcamp. This experience gave me a strong base to deal with every pain that comes together when I choose for an entrepreneur life. As an entrepreneur for more than 15 years, I have had the opportunity to start multiple companies spanning design and app development. I have a degree in visual communication and marketing and help businesses and brands tell their story through design. 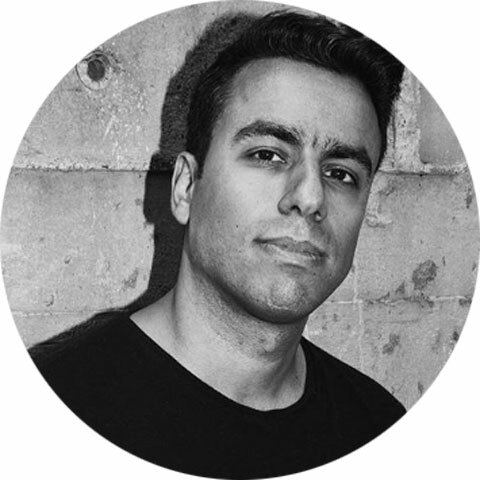 I was the co-founder of Scribe a platform that allows writers to earn money for their work and also a co-founder of UDesign, a fashion platform that highlights and sells unique and exclusive crowdsourced products. I am currently focused on using my design and entrepreneurial skills to growing my third startup, Blue One, a workforce platform built and designed specifically for companies to manage their clients’ engagement. Camila was born in Bogotá, Colombia. 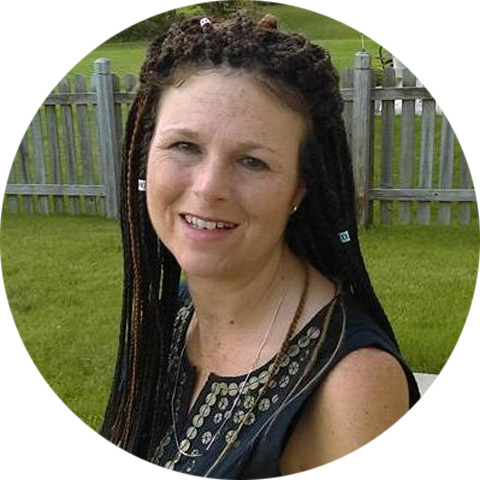 She is a business consultant who is passionate about helping organizations and entrepreneurs to solve their problems and demands through a strategic and management approach. She is fascinated by how technology changes the way we experience the world and its influence in the business model and strategy. She uses technological surveillance and competitive intelligence as methodologies to detect opportunities for technological innovation and new ideas that promote the improvement of processes, products, and services. One of her specialties is to facilitate the digital transformation process across organizations. She attended to the World’s First Entrepreneurship Boot Camp for Women in 2015 (organized by Exosphere) that integrated different disciplines such as Programming, Social Entrepreneurship, Artificial Intelligence, Emerging Technologies, and current trends in the global market. This program broadened her view on how to integrate multiple disciplines and to acknowledge the human perspective while creating effective innovative solutions. The program included one-on-one mentorships that helped her to understand how to apply and integrate different skills in both her professional and personal life. Antonio was one of the most experienced mentors and he always displayed the values of creativity, discipline, and perseverance. Back in 2015 I was working with cryptocurrencies investment models and trading bots for my final exam to get my bachelor degree on Business Administration. At the time there were very few people that knew about Bitcoin, which made me realize that I was the one that had to find and teach partners about it. Then I read about Exosphere’s 7th wave, they were offering an two months bootcamp focused on many disrupting technologies and of course, between them, Ethereum, Solidity and Smart Contracts!. This was going to happen at just 40 minutes of commute time in Reñaca, Chile, so I went there and meet them for coffee and after hearing their vision I was very excited to join the program. During this 8 weeks I met so many great people from all over the world, some of them who felt just as lost and alone, but also enthusiastic about learning together. When you live 24/7 focused on something you love and living with people just as compromised it becomes the right place and mindset to get things done. And it wasn’t just cryptocurrencies, the core program was rich and other streams just as fun. Also, it was my first time speaking English 24/7, it really helped me to loose my tongue. We shared many memorable good and bad experiences but overall it was one of the bests experience I’d lived. After the program I joined surbtc a start-up that grew up to be buda.com, the biggest cryptocurrency/fiat exchange in Latin America. 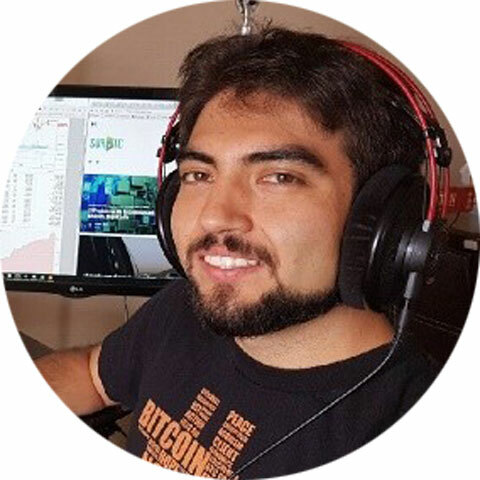 I worked on market making bots providing BTC, ETH, BCH, and LTC liquidity to Chile, Colombia, Perú and Argentina. I’m confident on Antonio and his partner’s experience and commitment disrupting education, but it’s finally up to you to make of The Ark Lab a rich and life changing experience.